Serving the community with over $50,000 given back! 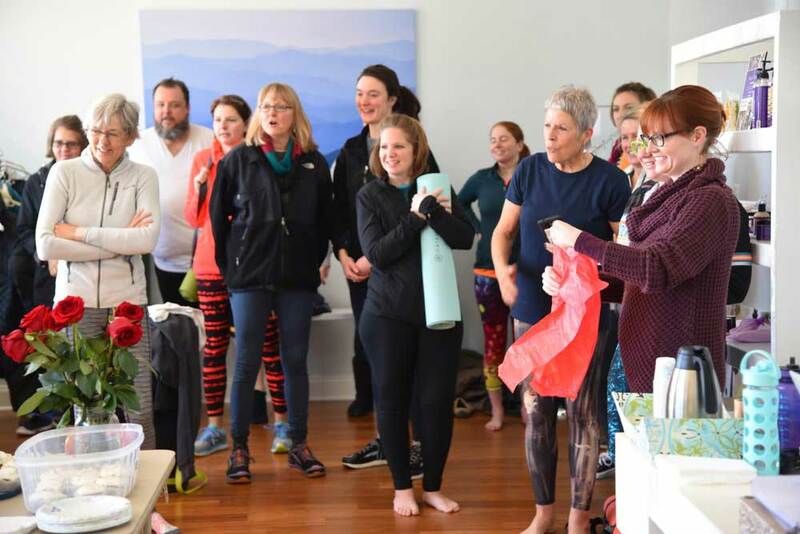 At Blue Ridge Yoga, we believe yoga is for people of all sizes, ages, and fitness levels! There are no preconditions or flexibility levels you need in order to find joy and fulfillment in your practice – yoga isn’t just a luxury, it’s a right to your well-being! Help us help others! Check-in at Blue Ridge Yoga on Facebook to give back to amazing charities! Ask us who we are supporting this month! Try our $29 Intro Special! Blue Ridge makes me feel safe, warm, physically fit, and mentally & spiritually healthy. We aim to create an inclusive, welcoming environment at our studio. We believe everyone has a story to tell and a right to be here. Come join us! Sign up with your email address to receive studio news and updates!